Amelie - elegant, soft curved bench with filigree wire frame. The product family Amelie, featuring sophisticated details and boasting great versatility, exudes feminine elegance – in each and every version. The product family includes a chair with armrests as well as bar-stools and kitchen stools with higher or shorter backs. 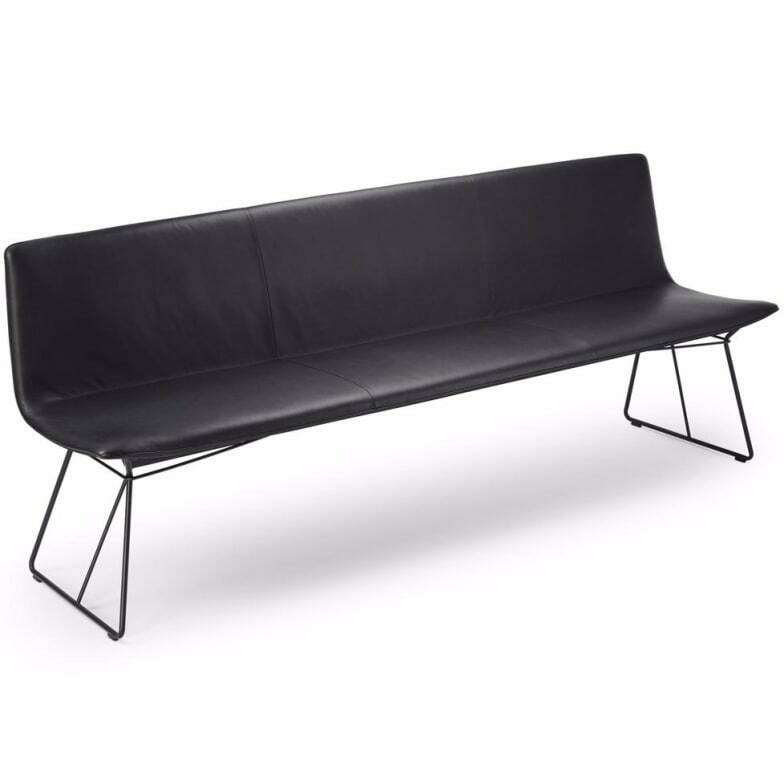 The Amelie bench (available at 140cm, 160cm, 180cm, 200cm, 220cm and 240cm) rests on a wire frame without mid-section support – together with its classy and elegant design this piece appears far lighter and smaller than it actually is and adapts itself perfectly into every room concept. Do you have a question about "Amelie (wire frame)"? How can we contact you?